True Life: I’m addicted to buying faux fur coats. I know. You’re like, “Caroline, you live in Los Angeles. It’s 72 degrees today and it’s January 5th.” Trust me, I have the same internal conversation with myself every time I find a new coat, but I cant help it! A part of me thinks it’s because they’re such a novelty. A part of me also thinks, wow, they’re all so inexplicably affordable. And another part of me is just like DAMN they come in fun colors and they’re so ridiculously fun to constantly pet. It’s only weird if you think it is. 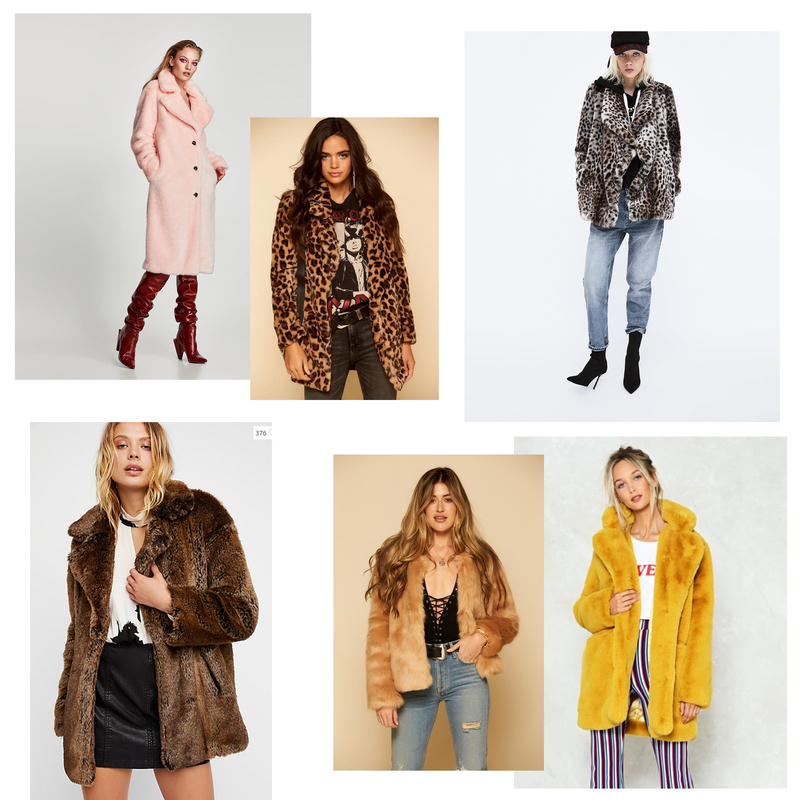 Whatever the root of my obsession may be, I have obviously become quite the faux fur collector and connoisseur, so I’m sharing with you my 5 favorite coats out there right now that are, faux, fabulous, fun, and most importantly – way affordable. You guys would laugh (or maybe you’d be impressed?) if you saw the rainbow that is my closet of coats right now – it’s borderline psychotic but dammit if it isn’t a joy to see everyday. 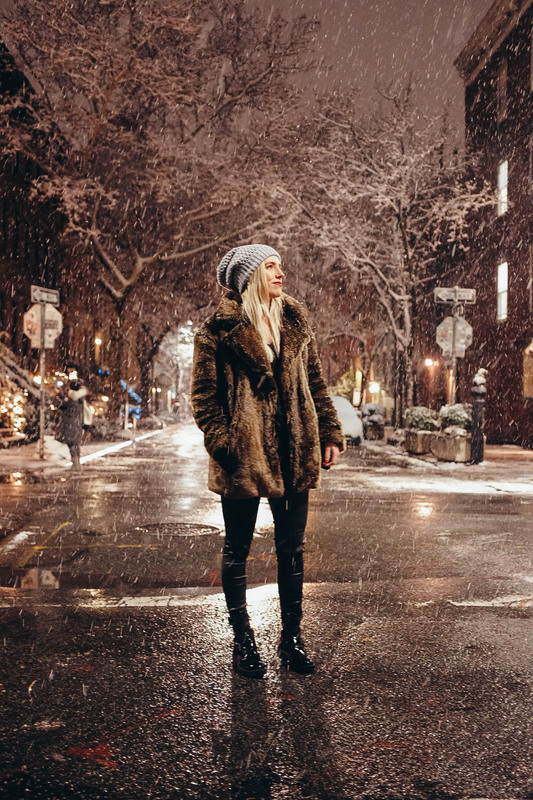 The BEST BEST BEST, let me repeat – BEST – faux fur coats I’ve found I’ve gotten from Nasty Gal. I have the yellow/gold one you see above in red as well, and don’t think for a second I didn’t seriously consider more colors like grey, lilac, or blush. I’m glad I stopped because I ended up finding a few really great coats at Free People as well, many of which are actually on sale right now, wink wink. Besides Nasty Gal and Free People, the obvious next best place to look is Zara. And in case you didnt know, we’re in the midst of the beloved ZARA SALE! And a few of my favorites happen to be on sale from there as well. What I love most about faux fur is obviously the fact that it’s faux. I am not a fur girl. I’m not going to harp on it or get into it, but real fur makes me real sad. But these faux fur coats can look JUST like the real thing, they can keep you just as warm, and you can look just as stylish. It’s fun playing with all of the faux fur trends too, everything from bright colors to animal prints I am having a blast styling in different ways. Any of you girls rocking faux fur coats in LA right now? What’s your favorite way to dress yours up (or down)? I Loved everything about your post! Dresses are wonderful, See more collection at http://www.EvelynandArthur.com too.